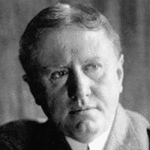 O. Henry is the pen name of American writer William Sydney Porter (September 11, 1862 – June 5, 1910). Porter's 400 short stories are known for their wit, wordplay, characterization and the clever use of twist endings. FCIT. "O. Henry author page." Lit2Go ETC. Web. 25 April 2019. <https://etc.usf.edu/lit2go/authors/127/o-henry/>. FCIT, "O. Henry author page." Accessed April 25, 2019. https://etc.usf.edu/lit2go/authors/127/o-henry/.